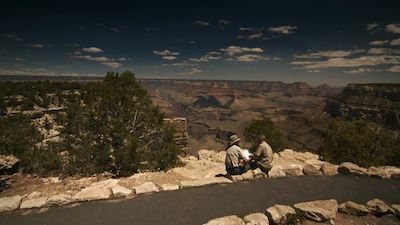 In AMERICA UNEARTHED, forensic geologist Scott Wolter, a real-life Indiana Jones, will reveal that the history we all learned in school may not always be the whole story. 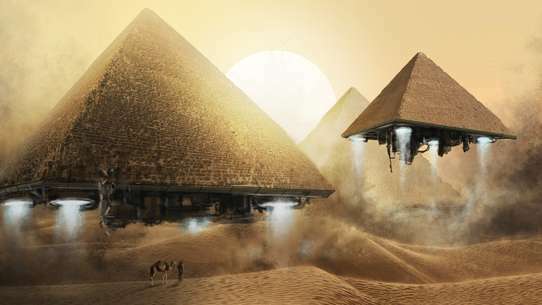 Across the country, ancient symbols, religious relics and unexplained artifacts suggest that civilizations from around the world have left their mark for us to find today. Wolter not only digs through the surprising burial ground that is America for arcaheological secrets, but he also uncovers compelling evidence that pre-dates the official "discovery" of the New World and turns a lot of what we think we know about American history on its head. 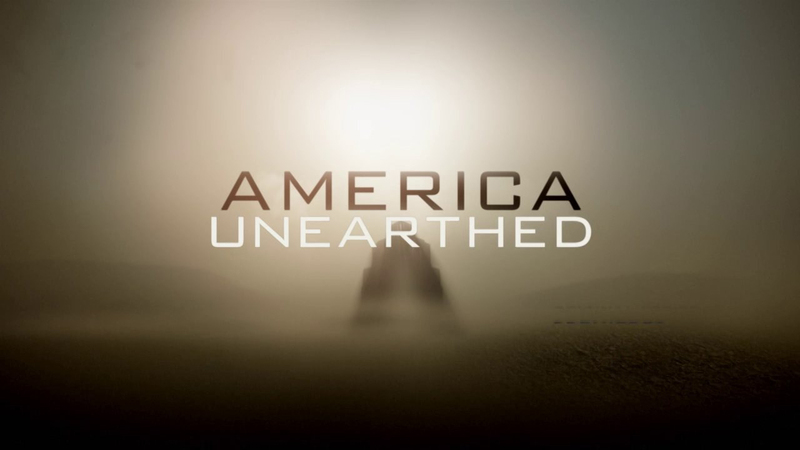 America Unearthed proves there is a lot we don't know about our past, and that people have gone to great lengths to cover up these mysteries. 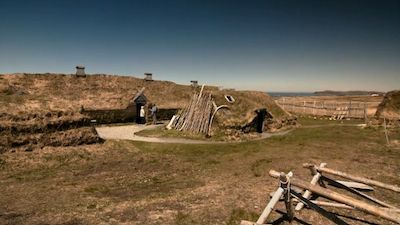 In 1200 AD at the same time the Vikings were discovering North America along the East Coast, new evidence suggests another group of intrepid voyagers may have been discovering the New World on the opposite end of the globe. 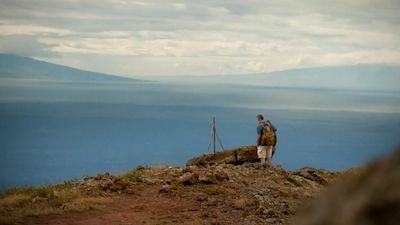 When an obsidian spear point of mysterious origins is discovered by a group of hikers on the island of Maui, Scott Wolter is called in to investigate. Delving into it's origins, he discovers the artifact may have come all the way from Mexico–and is just one more clue in a mounting pile of evidence suggesting Polynesian voyagers made it there and back. What Scott wants to know is if they made it to Central and South America, could they have made it all the way to North America? Just east of the San Francisco Bay Area are the Berkeley Hills Walls--remnants of a massive, stone wall that stretches a distance of over fifty miles. The wall segments are up to six feet high in some places and are constructed of tightly fit limestone boulders. Scott is in intrigued by the fact that nobody knows who built the wall or even what purpose it serves. The only historical precedent for a miles-long, manmade, ancient wall is the Great Wall of China. Could ancient Asiatic explorers have made it all the way to the North American West Coast? In investigating the theory, Scott uncovers other evidence that could suggest the Chinese with their massive maritime fleet made it to the New World, using maps that were in the possession of Kublai Khan. He also discovers evidence that European explorers knew about China's epic voyages, including Italian explorer Marco Polo. Scott Wolter gets a call from a man who has a mysterious stone on his property. 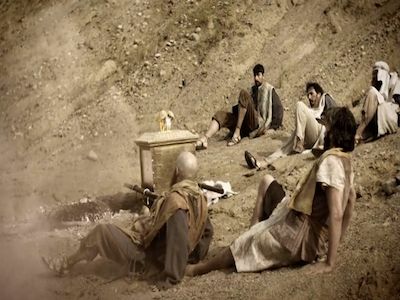 He's convinced that it's the "Stone of Destiny"–the stone that Jacob from the Bible rested his head on when he dreamed of a stairway to Heaven. 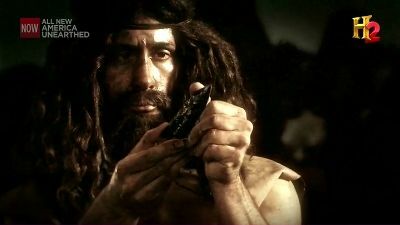 As Scott investigates, he discovers the stone was once kept with something even more valuable. It was once kept with the Ark of the Covenant and both are rumored to have been brought to America. Scott's quest for the truth leads him to a sacred site in Ireland called the Hill of Tara and to a mysterious site in Arizona where a petroglyph depicting what could be the Ark could suggest its final resting place is right here in the United States. And, as for who brought it here, a tablet inscribed with the Ten Commandments found with a series of other artifacts could suggest a likely group of candidates–the Lost Tribes of Israel. Scott weighs in on the possibility of a race of tiny people called Menehune while on vacation with his family in Hawaii. Davy Crockett was an American legend immortalized in frontier folklore for being the last one standing at the Alamo during the fight against Mexico. It was there Crockett is said to have met his heroic end. However, new evidence suggests that's not the case. 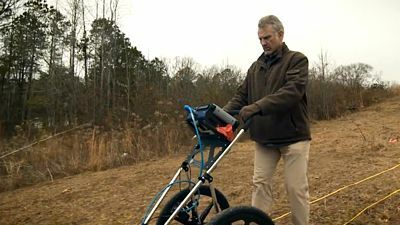 An Alabama man contacts Scott Wolter about a land claim allegedly signed by Crockett--nearly 20 years after his death! As Scott investigates, he learns more about Crockett's life, membership in a secret society and involvement in the Texas Revolution at the Alamo. There, Scott discovers that the history books may be wrong when it comes to Crockett's fate and that the frontiersman's enemy, General Santa Anna, may have saved Crockett's life in a stunning twist of fate. In 1874, Lt. Colonel George sent Custer on a scouting mission to the Black Hills area. He reportedly found something while he was there--gold. This sparked off a gold rush of settlers flooding the sacred Native American lands, which in turned sparked off a war. In response to the uprising, Custer led his forces into the ill-planned Battle of Little Big Horn, where he made his infamous Last Stand. But, before the battle, some say there was treasure to be had--gold coins, paper currency, and other valuables brought to the battlefield. So, what happened to the treasure after the battle? 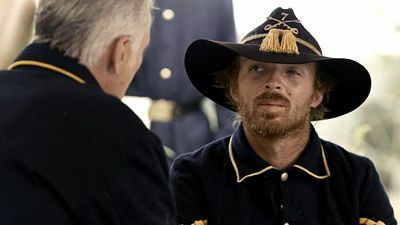 Piecing together a series of clues, Scott uncovers evidence suggesting Chief Two Moons who'd led the tribes against Custer, disclosed that he and his men may have looted the bodies. Only on his deathbed did he reveal it's secret location. Can Scott figure out where Custer's lost treasure might lie today? Since the 1800s, the City of Rockwall, Texas has had a mystery it's been trying to solve. Allegedly, the town was built on a massive rock wall that was constructed by some ancient civilization…or even giants. Could it be true? 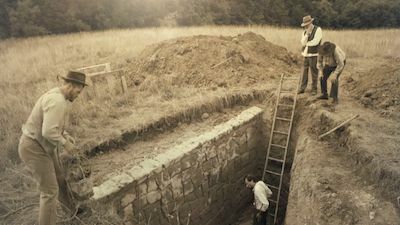 Scott Wolter conducts a massive excavation of the wall to figure out who–or what–created this wall and the controversy surrounding it. Scott Wolter investigates a 3000-pound boulder hidden inside the Chicago History Museum's secret storage location. The Waubansee Stone used to be even bigger when it sat along the Chicago River outside Fort Dearborn. Known as the city's oldest piece of art, the stone features the face of a man with closed eyes, parted lips and a chin beard. Some think it was an homage to a local Native American chief, but others believe the stone may have had a more sinister use hundred of years earlier. 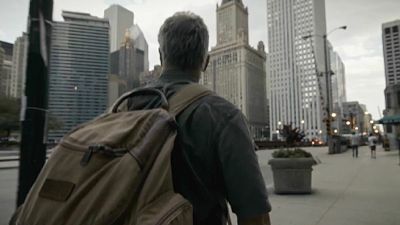 Scott's search for the truth about the Waubansee stone results in a wild romp through important events in the history of Chicago--from ancient to modern times--in which the Waubansee Stone always seems to have played a role. Scott Wolter receives an intriguing tip from a published author on pirate's treasure troves and business magnates that may involve one of the richest men in America's history--John Jacob Astor. Scott learns that Astor made a fortune in real estate and the fur trade, but records show he may have really gotten his start from a lost treasure belonging to the famed pirate Captain Kidd. 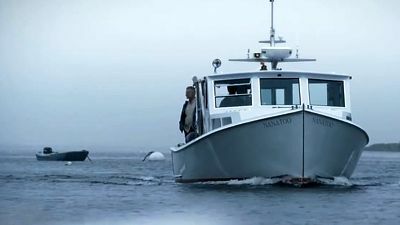 Scott heads to the east coast where he pieces together clues from Boston, New York, and Maine to determine if this claim is true. 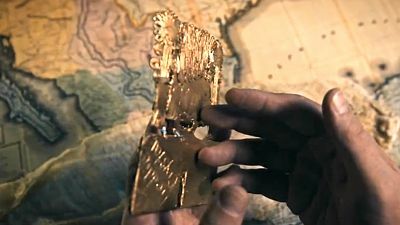 One of the main clues he investigates are a set of mysterious numbers likely provided by Captain Kidd that may be connected to a buried treasure. Could there still be a treasure that still needs to be unearthed along the coast of Maine? How did Astor truly get his fortune started? 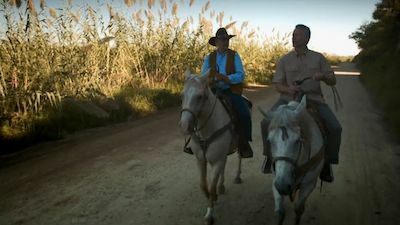 Geologist and adventurer Scott Wolter explores a government-restricted site, and makes a startling discovery connecting the ancient Mayans with rural Georgia. An investigation into a mysterious symbol often seen on ancient artifacts may finally be solved, potentially connecting the Knights of Templar and modern Freemasons and even revealing what and where the elusive Holy Grail is. When Scott Wolter gets a call from his friend John DeSalvo, an avid collector of Abraham Lincoln memorabilia, he has no idea that he's about to embark on a quest to learn whether there were a lot more people than just John Wilkes Booth behind the assassination of one of America's most influential presidents. Evidence Wolter uncovers suggests Booth was part of an infamous group of Confederates who formed a secret society called the Knights of the Golden Circle; a group that included influential politicians and rogue raiders like Jesse James. The evidence Scott complies suggests a new twist on the motives behind Lincoln's killing, and takes him on a wild ride through the history of the South at the time of the Civil War as seen through the eyes of the Knights of the Golden Circle. The theory that the Vikings discovered America before Columbus is examined. Scott explores a mysterious tower in Newport, R.I.
A man shows up at Scott Wolter s lab with a 500-pound discovery. In the flatbed of his truck is a large boulder he pulled from the Arkansas River, inscribed with a mysterious bull symbol. Wolter s investigation into who carved the stone and for what ritualistic purpose ultimately reveals a connection between the ancient Egyptian cult of the Apis bull, the mysterious religion known as Mithraism and a party of pre-Columbian explorers to Oklahoma s panhandle. In the end, carvings in a cave in America s Heartland shed light on an ancient connection that could prove a group of religious outcasts made it to America in pre-Columbian times. The Appalachian Mountains are a region of incredible beauty and amazing legends. One such legend tells of a terrifying giant with a 7-clawed hand who left his mark on a massive rock. This incredible rock is sacred to Cherokee people who revere the artifact for its intriguing symbols and cultural significance. Others say the symbols aren't Native, but may be connected to visitors from afar--perhaps from over the ocean or from another world. Trying to set the record straight on this controversial stone, Scott Wolter heads to Appalachia. As Scott tries to determine the age of the carvings, he discovers the stone may have strange and mystical powers. 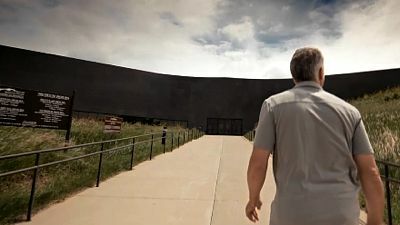 He also learns that this isn't the only massive artifact in the region--the connection between the two may lead to a "giant" conclusion. 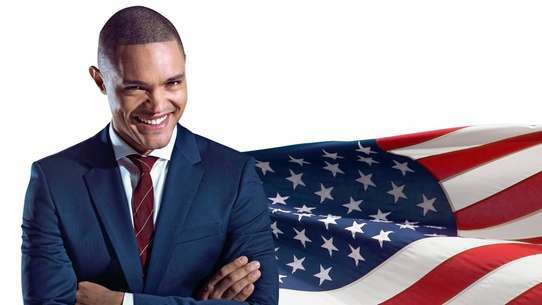 Before the US declared its independence, its destiny hung in the balance with the vast lands of America up for grabs to anyone willing to stake a claim. Called to examine a possibly ancient land claim, Scott Wolter is drawn into an epic quest to prove whether French fur traders were actually here on a secret mission to steal pre-Columbian land claims placed at a much earlier time. The key to this whole mystery could lie in tracking down a long-lost artifact, allegedly found with strange carvings that only those with hidden knowledge could understand. On this adventure through America's little-known early history, Scott uncovers a high stakes game of land grabbing where only the winner comes in first--and the only way to win might be to cheat. Scientific testing connects a prehistoric Bronze Age civilization with the mysterious disappearance of vast amounts of copper from Lake Superior. Heading to Tucson, Arizona with his son Grant, Wolter is eager to investigate a mysterious cache of crosses, swords and other relics pulled from the desert in the 1920s. One sword has a date--800 AD--written in Latin, which would suggest a group of Europeans was in the American Southwest hundreds of years before Columbus made it to America. Wolter's investigation is particularly important for one man--the grandson of the man who helped discover the items. 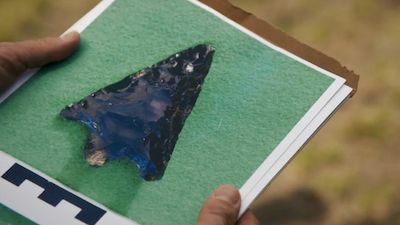 The investigation could determine whether the artifacts are part of an elaborate hoax or part of a find that could change history. 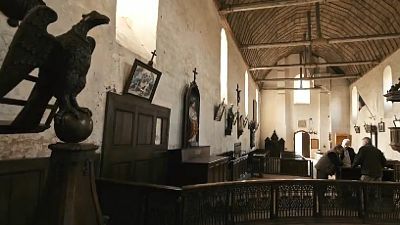 In the conclusion of the two-part season finale, Forensic Geologist Scott Wolter uncovers shocking new secrets and sites, both stateside and abroad, linking the Knights Templar to cryptic symbols he believes represent one thing–a connection to Jesus's rumored bloodline. The finale plays out like a real-life Da Vinci Code drama that will have viewers on the edges of their seats! In Florida, Scott Wolter is called in to investigate a mystery surrounding a group of early inhabitants of the Sunshine State known as the Windover Bog People. As Scott learns about the perfectly preserved specimens, he discovers they have some unique features that could suggest they are European. Scott embarks on a search to find out if Egyptian treasure was discovered in a Grand Canyon cave in 1909. Thousands of people walk through Central Park every day unknowingly passing by a crumbling relic that connects the Big Apple to ancient Egypt. Scott ventures to New York City after learning that an ancient Egyptian obelisk located in Central Park is undergoing restorations. The obelisk's hieroglyphs tell a unique story of the pharaoh that built it. But when researchers discover Freemasonic symbols under the 3,500 year old monument, a wrench is thrown into the timeline of History. Scott ventures into busy NYC searching for the truth behind the symbols and in doing so uncovers a secret message on the ceiling of Grand Central Station that points to an ancient alignment in the heart of America.